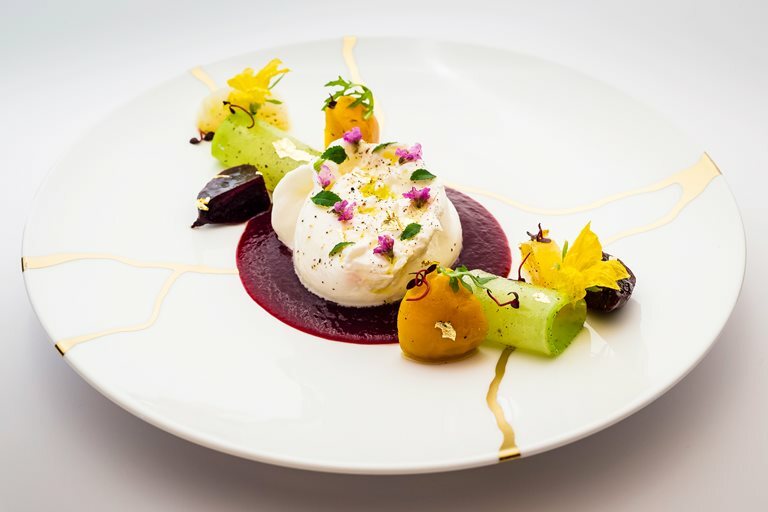 This fresh spring salad from Xavier Boyer showcases new season baby beetroots, spicy green meat radishes (which can be found in specialist greengrocers) and silky, creamy burrata. Meaning butter in Italian, burrata is an Italian cheese made from mozzarella and cream. Make sure you buy the best quality you can find to make this simple dish really special. Dress the baby beetroots and radish slices with the lemon dressing and arrange around the plate. Garnish with rocket leaves and flowers.